NEW BRAND FOR 19! Get ready to gear-up with Keystone RV’s Impact toy haulers. 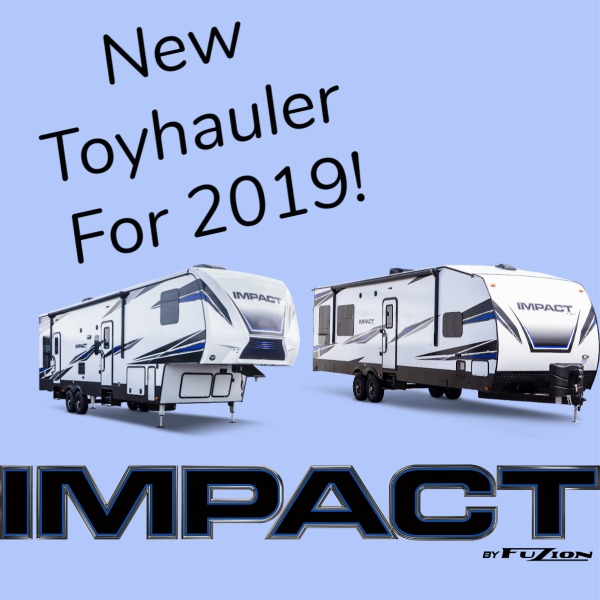 Impact offers weekend warriors a lineup of shorter toy haulers, lightweight travel trailers, and fifth wheels—all with the same robust construction as the brand’s big brother, Keystone’s Fuzion. And with a complete overhaul of interior decor, Impact has a fresh and tranquil color palette. Focused on providing the most value for your dollar, Impact makes it easy for you to get out and play.